The Remote controlled airplane is available in a bewildering array of types. If you are new to this hobby or a more advanced flyer, here are the facts! Many people have yearned to fly RC airplanes and many have purchased a model, only to fail miserably and declare that flying RC models is too difficult to learn! The inevitable resulting crash is the first and last experience with flying models, so here a tips on how to select the correct model for you that you can fly. I would advise you to stay away from the "toy" type and only consider the hobby type of remote controlled airplane. If you buy from a hobby shop and take the advice of the shop owner, or buy from a reputable on line hobby source, you have taken the first step towards success. Stay away from the toy stores! You will see links on this page to specific Amazon pages and I should tell you that I am an Amazon affiliate and yes I will receive a small commission if you click on the "Click to Order" buttons. If you do- then many thanks! 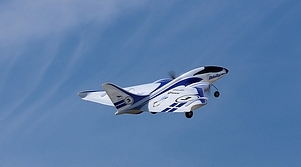 The Delta Ray is the first RC trainer airplane to feature SAFE technology. 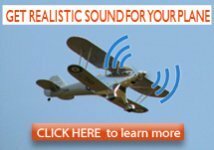 This gyro based system stabilizes the plane and even includes a "panic" button that can get you out of trouble in a hurry! Ready to fly (RTF) and complete with a 4 channel, 2.4 GHz radio. Click here to visit the Amazon page with more details and the chance to buy. The Alpha Trainer is built from laser cut balsa and ply and beautifully covered in UltaCote. 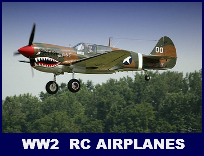 Click here to visit the page with more information and also here for another page about this remote controlled airplane that makes a great first model. 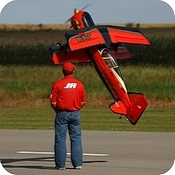 The scale RC airplane is my favorite type of remote controlled airplane. A quick scan of this site, will confirm this in a big way, as the majority of pages feature scale planes and also a few scale RC helicopters. To me, my models must look like the real thing! Usually NOT recommended for the beginner-Learn to fly consistently first! 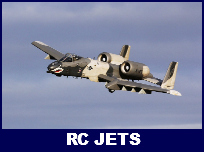 Take a look here for a good selection of scale RC airplanes. Both civil and military types are shown, with further links to full details and the option to purchase. All the models shown are ARF (Almost Ready to Fly) or RTF (Ready To Fly), so workshop time will be at a minimum! Maybe this is the most popular of all the remote controlled airplane scale types. They come in all sizes from Micro to Giant scale and usually fly very well. They usually require retracts and flaps to be really scale, so a 6-channel radio, as a minimum, is usually required. 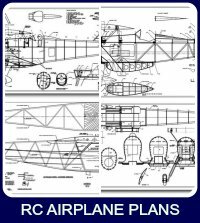 If your tastes tend towards the larger scale RC plane and you like to build from plans, then take a look here. Here are featured 4 models, designed and built by myself. The plans are CAD drawn and as close to scale as I can make them. Other modelers have since built them and reported excellent results. It can take up to 2 years, to research, design and draw up the plans. A lot of work but I do enjoy this process! WW1 generated a fabulous range of distinct airplanes that usually can make easy flying and realistic models. The majority are biplanes with a few triplanes thrown in for good measure! This page gives details of a few RTF models with further links to other pages that have more detail and buying info. These airplanes are large (Maybe 1/3 scale or similar), light weight and powered by a gas engine. The power to weight ratio is greater than 1:1, so it is possible to fly "on the prop" like a helicopter. This makes it possible to fly many maneuvers such as the hover, the avalanche and many impossible looking aerobatics. It does take considerable skill and practice to perfect this type of performance. It is a level of skill that I will never achieve and I am always amazed at the hand to eye coordination that is displayed by an expert "3D" flyer. This scale Extra is so big it is shipped in 3 large boxes. The level of completion is such that this remote controlled airplane can be completed in a quite short time when compared to building from a kit. Take a look here for full details and the chance to buy. The Sukhoi is the largest giant scale model available from Hangar 9. With a powerful enough gas engine there is no 3D maneuver it cannot do with ease. Designed by Quique Somenzini,( Former World champion) this scale model is capable of all the precision RC aerobatics as well as thrilling 3D stunts. Many modelers consider that the 3D aerobat is the ultimate remote controlled airplane and possibly the Beast is the best in its class. 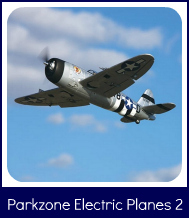 Modeled after a full scale aerobatic plane, it has the ideal layout for extreme aerobatics. Visit this page for all the details. A remote controlled airplane that you can fly in your local park is now possible. The technology of modern electric power and Injection molded foam have come together to make this dream a reality. 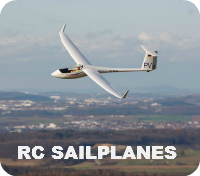 Parkzone are the biggest company to offer a large range of RTF (Ready To Fly) models and by clicking on the photos you will find many details of the range. If you do use your local park, please be careful to fly away from busy areas and always practice "Safety First"
RC jets are an exciting branch of the remote controlled airplane hobby. Modern technology has made it possible to offer true miniature gas turbines and they do make a super realistic model. Be aware that they are not cheap, and are for the experienced modeler only! Click here or on the photo, for more details about the gas turbines and the models they can power. 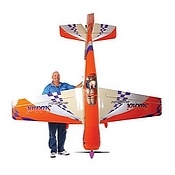 The Parkzone Radian Pro is the latest version of this popular RC glider. It comes 100% completely built and ready to fly. 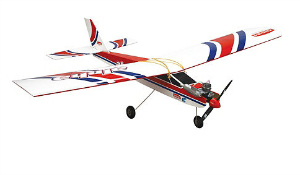 The built in 480 size electric motor gives you the power to launch and reach soaring heights and search for thermals. Click here to visit Amazon, where you can find full details and even purchase one.